Senator Bernie Sanders and K-12 Education: We’re Listening! He doesn’t like NCLB. He should discuss more about why he doesn’t like it, how he was never for it, and he needs to discuss the problematic Race to the Top. Bernie Sanders supports the teacher’s unions. This is good; however, unions are also controversial these days. They seem to be on board for selective charters (thinking teachers are still in charge) and Common Core. It also remains to be seen how hard they will fight for saving special education or returning normalcy to the classroom when it comes to high-stakes testing. Although I support teacher unions, I, like many others, am not enthralled with the AFT or the NEA right now. Senator Sanders talks proudly about being on the Senate Committee on Health Education Labor and Pension. Probably the rewrite of the 800 page ESEA re-authorization bill (Every Child Achieve Act ECAA) will be approved this week. This bill is generating much concern and is highly supportive of charter schools and the state’s overall draconian influence on schools. Some parents and educators myself included, think they should go back to the drawing board. Here is Dr. Sandra Stotsky warning against it and requesting phone calls to appropriate lawmakers. The education community seems divided on this issue. He has not mentioned charter schools. Dems tend to dislike vouchers but cling to the belief charters are the old Albert Shanker idea that has teachers in charge of nice alternative schools. But this country strayed far from that concept years ago. While there may be some good charters, most lack transparency and are posed to dismantle traditional public schools. Teachers are often treated abysmally when it comes to charters. Many teachers have lost their jobs when their schools arbitrarily shut down and were converted to charters. And many charters rely on teachers who are lacking suitable qualifications. There may be many reasons to support Sen. Bernie Sanders. In general, he has a fine political agenda on numerous issues. But so far, Sen. Sanders needs to answer other questions about K-12 education. I hope this will soon change. Here are several Face Book pages for Sen. Bernie Sanders. Let him know how you feel about public schools and education. As an educator I need to hear Bernie disavow Bill Gates and his foundation, the CommonCore and the damage inflicted by high-stakes testing. I need to know that he’s talking to actual truly progressive teachers (not the NEA for Hilary crowd) and not just listening to so-called education reform experts. He seems to talk about pre-K education and free college education, which I agree with, but seems to gloss over K-12 education. His issues on economics and the damage by the bankers and Citizens United are exemplary. Please Bernie, have more conversations with K-12 educators and providers with some more details about your specific plan! I echo your pleas, Paul. Thank you! How can anyone favor Senator Sanders? He has hit upon many of the items that teachers care about but has said nothing about how he will deal with these issues. To me, he is just a lot of smoke and mirrors, saying all the right stuff ==to get himself elected and then what? People are very critical of republicans implementing school reform when none of them have been educators themselves. Well what experience does Bernie have in education? Anyway, I guess you know who I am not voting for!! Thanks for your comment, Mary. Where education is concerned it is hard to find a hero! I have a special interest in research for improving the education curriculum K-12. I will say that a lot of professors disagree on the best method to improve the actual curriculum with the resources we currently have because we lack sufficient data. There are some simple, obvious, improvements to be made such as providing funds for smaller class sizes, introducing more guest speakers to share their experience with children, hiring experts to follow and help personalize the education of each child, and so forth. Those ‘simple’ fixes can be done by receiving more funds. On the actual curriculum, to my understanding, Common Core is a much-needed attempt to reshape the previously existing curriculum and provide a minimum guaranty of standard in all schools across the nation. While I strongly do not believe that Common Core is THE ideal curriculum, I support the direction the curriculum is attempting move towards (ie, higher education standards than the previously existing standards for K-12, focused more in critical thinking). Now Mr Sanders is certainly not an expert in curriculum. He knows the economic side. What he can do is push for more funding for education, but I don’t think he has the expertise to determine the actual, optimal curriculums single-handedly. To give you an idea by what I mean by ‘improving’ the current education system: ask yourself how can you teach your children more efficiently, without adding excessive amounts of class-time? How can you change the ‘approach’ to education within a classroom in order to accelerate the child’s rate of mental development? Back to Common Core, the Common Core curriculum principle is more based in the idea that if you prepare the child’s most basic foundations to be stronger in critical thinking and arithmetic and so forth, then they will be better suited to to solving more difficult problems once they reach college or university. Again, I don’t think Mr Sanders has the expertise to mandate actual education platforms, and education platforms just as scientific platforms should stay out of politics; Mr Sanders does have the expertise to determine that education needs more funding. So, while Mr Sanders might not be able to express an expert opinion on many of the actual topics in education, he is the only candidate pushing for significantly larger funds to be made available for the schools… As he says, Education is a right, not a privilege. Sanders appeals to me, too, but I agree that he is long on talk and short on details when it comes to K-12 education. On the other hand, the Green Party is specific and, while I don’t agree with them 100%, they come closer than anyone else to what I would like to see for public education in the US. I’d be thrilled if he does, btw, and would surely vote for him, but just for fun…take a look at a few of the K-12 items in the Green Party Platform, especially item c…. a. Eliminate gross inequalities in school funding. 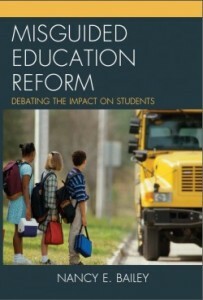 Federal policy on education should act principally to provide equal access to a quality education. b. Provide free college tuition to all qualified students at public universities and vocational schools. It’s time to forgive all student and parent loans taken out to finance post-secondary and vocational education. 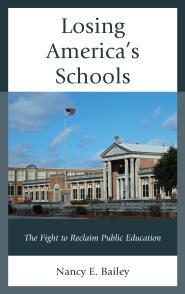 c. Oppose the administration of public schools by private, for-profit entities. d. Increase funding for after-school and daycare programs. e. Promote a diverse set of educational opportunities, including bi-lingual education, continuing education, job retraining, distance learning, mentoring and apprenticeship programs. f. Give K-12 classroom teachers professional status and salaries commensurate with advanced education, training and responsibility. g. Teach non-violent conflict resolution and humane education at all levels of education…. …n. Repeal the No Child Left Behind Act…. …s. Oppose efforts to restrict the teaching of scientific information and the portrayal of religious belief as fact. Thanks, Stu. Some of this sounds good and some I wonder about…but here is Dr. Jill Stein…. She was the Green candidate in 2012 as well…and my I SIDE WITH results (http://www.isidewith.com) came out 98% with the Green Party and 96% with Bernie Sanders. On the other hand…there were no questions about charters, vouchers, the relationship of poverty to k-12 achievement, and the misuse and overuse of standardized tests. I’d love to learn how Bernie answers questions about those issues. There’s also EduVoters4BernieSanders on Facebook for people interested in pushing the candidate to be more detailed about his education policies and perhaps working together to get some of the best policies parents, teachers, students, and community members want to see actually IN Sanders’ platform. I appreciate this, Cynthia. Thank you! Great! Thanks for sharing, Peter. This was where he didn’t answer about Common Core…but he sounds supportive..